When we fly longhaul to the US or Europe, we’ve generally chosen Air New Zealand, premium economy or business (using our upgrades). However this time we thought we’d have a change up and try Emirates. 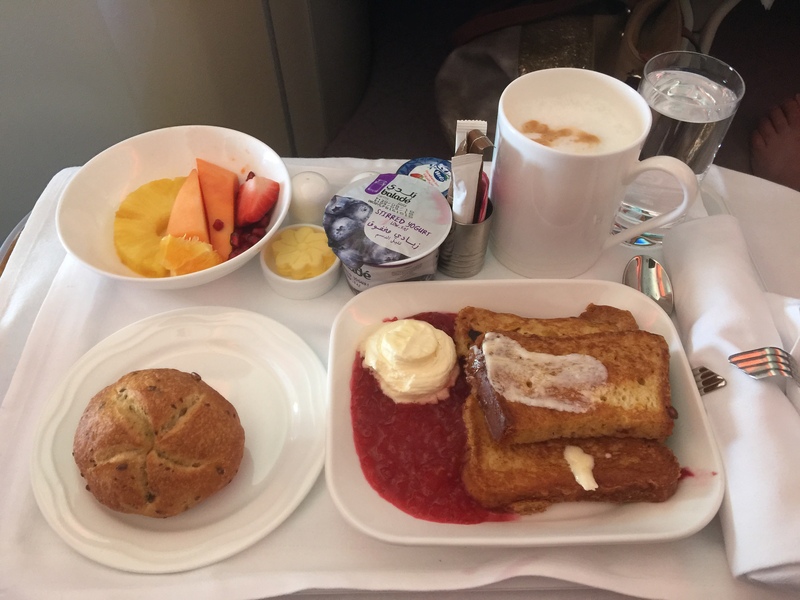 I got us a great early bird business class special. It was sensational and exceeded our expectations. 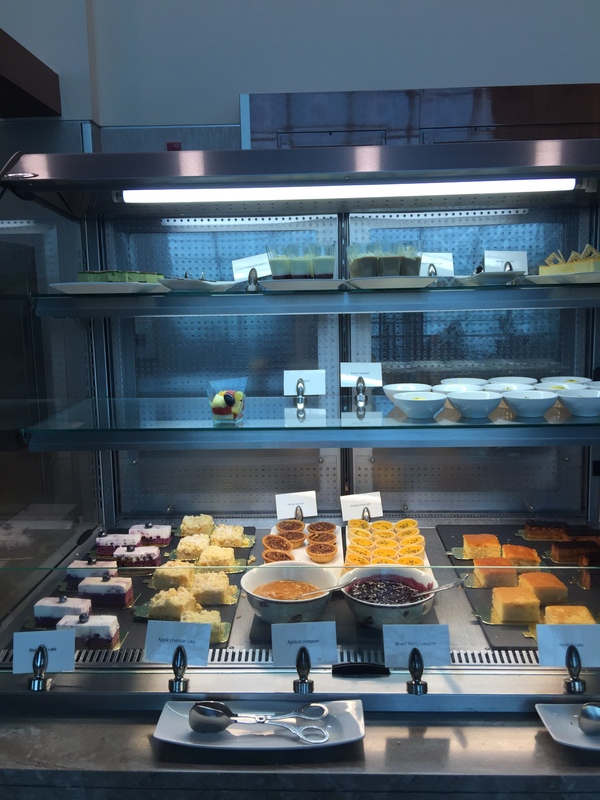 Let me tell you why.First the lounge in Auckland was amazing. Moet just flowed along with any type of drink. The food not so much – lots of it but wasn’t really me. 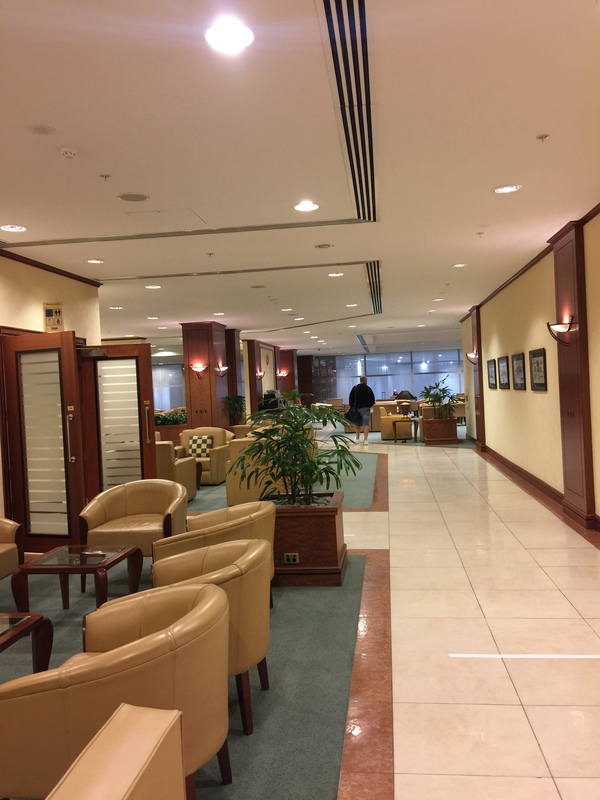 As for the transit lounge in Dubai – omg we were gob smacked. 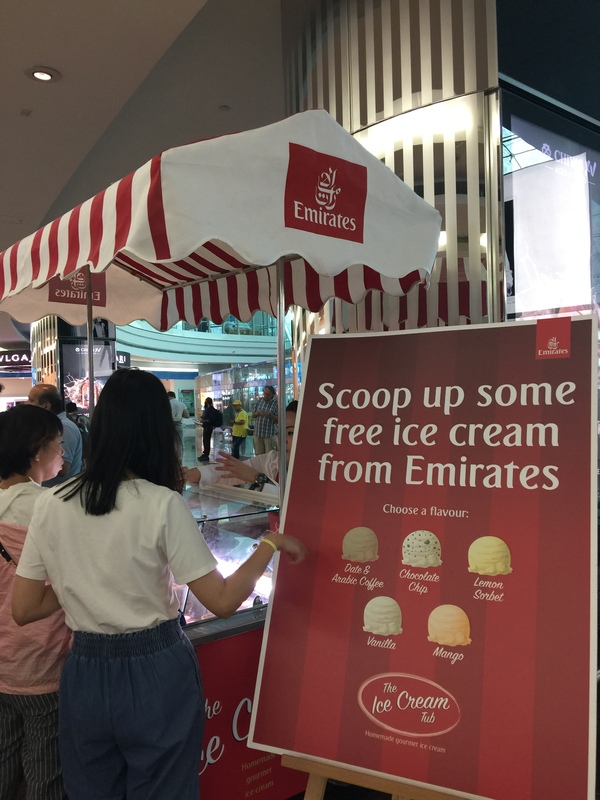 It was humungous with a healthy food station, Asian section, dessert station, middle eastern/western and Costa coffee station with cookies and muffins – all free! 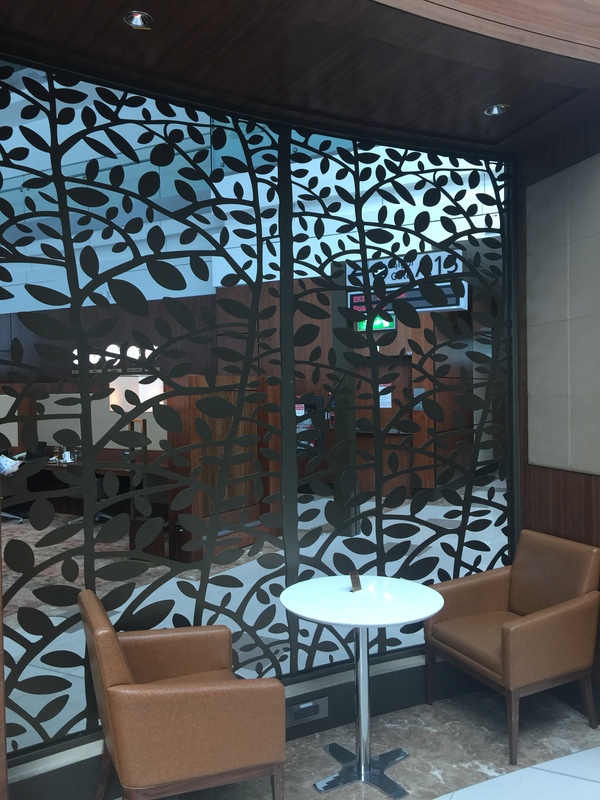 The departure lounge had your own gate to board directly from which was neat and a few buffet stations to choose from. The décor is just amazing; styly and luxurious. 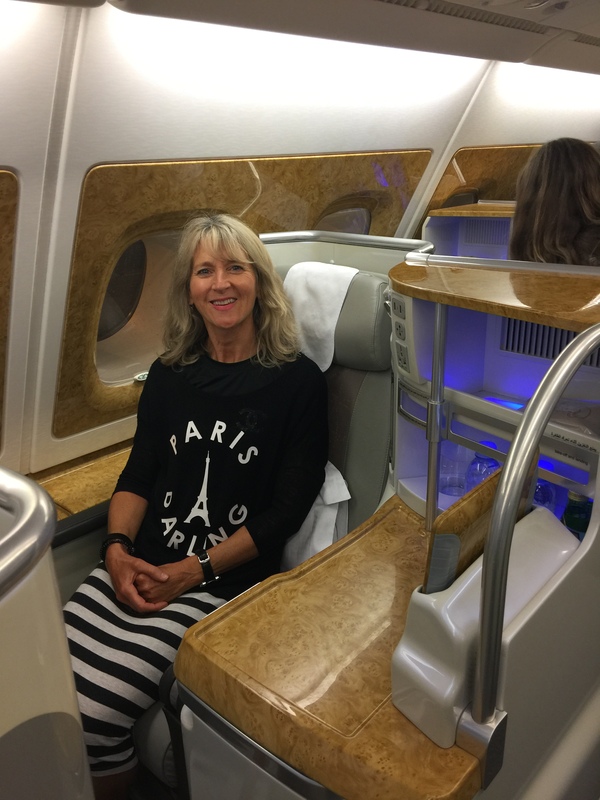 The seating arrangements can be either by a window with your partner in front of you or behind you which we tried on the way over from Auckland to Dubai to Rome. Or you can be seated in the middle together with an automatic privacy blind which is particularly handy if you’re seated next to a stranger. Of course my husband preferred being by the window and in fact two seats behind me! I’m not sure how that happened but I then couldn’t spy on how much alcohol or food he consumed and he was left in peace!! 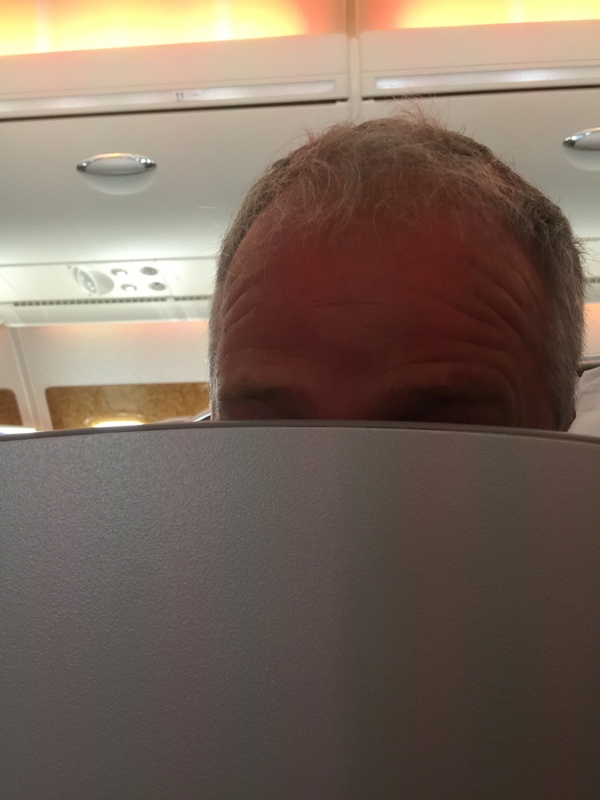 Of course on the way home seated together, so he loved teasing me and wanted the blind up, and the air stewards kept showing us how to put the blind down! I loved the seating configuration as it was so easy to press one of four buttons for seat upright to down flat. No fluffing about adjusting seat belts so they don’t get jammed. The wee bar beside stocked a juice, two waters and a sparkly as well as an ipad and there was so much room for my legs and handbag. As soon as you get on you are treated like royalty. 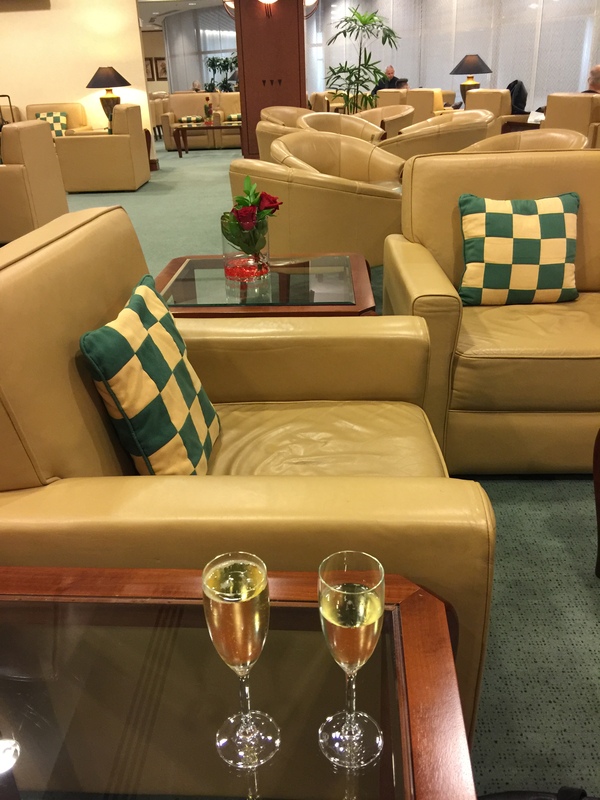 You’re offered a glass of either Moet or Veuve cliquot before takeoff. 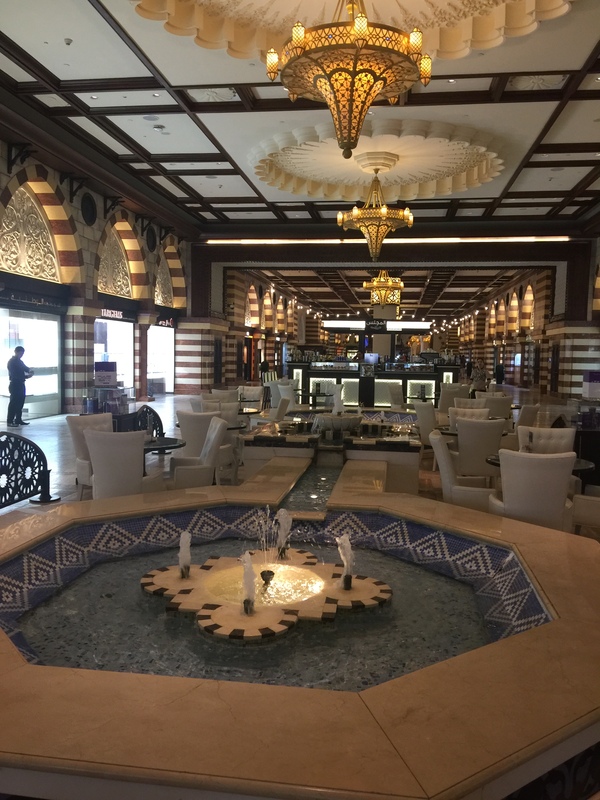 You can then take advantage of the fantastic entertainment system with the latest movies and a huge array of foreign movies which is pretty much most of what I watched and loved. You are also handed a gorgeous Bulgari (yes you heard right) cosmetic bag filled with divine thingies and on the way home you get a different style which is something they like to do for regular flyers so they don’t get tired of the same gift. Awesome. 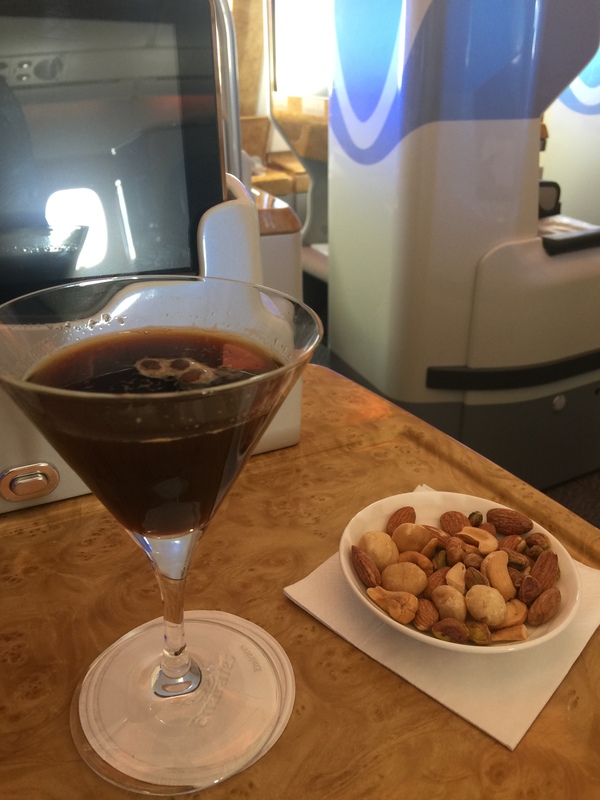 There’s a bar down the back which operates the whole flight serving any type of drink imaginable along with a ton of snacks, hot and cold meals, sandwiches, fruit, cake, Arabic pastries, chocolates. On our first leg we bumped into 2 couples we knew so we got a little bit noisy chatting in the bar in the small hours, but it was unintentional and voices carry. 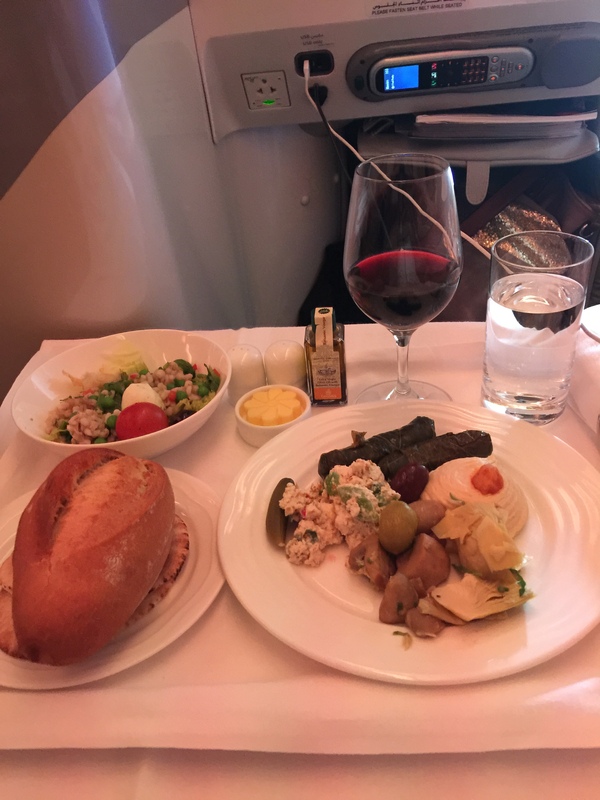 As for the food and drink in the main cabin, where do I start? Breakfast can be just continental or full . I opted for a delicious basil brie omelette on one leg and the amazing Gingerbread French Toast with cinnamon apple and lemon marscapone on another. You’ve also given fruit, yoghurt, bread or pastries. For lunch or dinner, you’re offered an appetiser, main, dessert, chocolates, tea/coffee along with a huge cocktail list, red/white wine, or champagne. My espresso martini was divine and hubby enjoyed his Campari spritz. Next trip I’ll choose an aperol spritz (of course) or cosmo. I tried the sea bream (was ok), traditional Arabic mezze Garlic prawns, dukkah coated chicken and courgette and squash soups. All very yummy. They also give you the most divine chocolates and you are never made to feel guilty asking for anything – everything just flows. 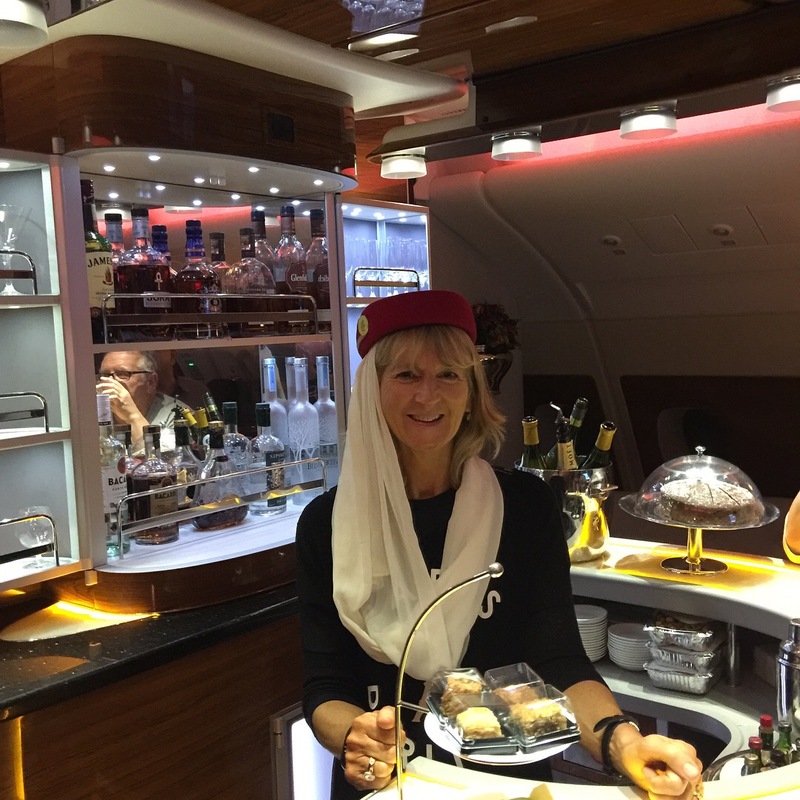 Service is sensational and all the air stewards are beautiful and speak a zillion languages. 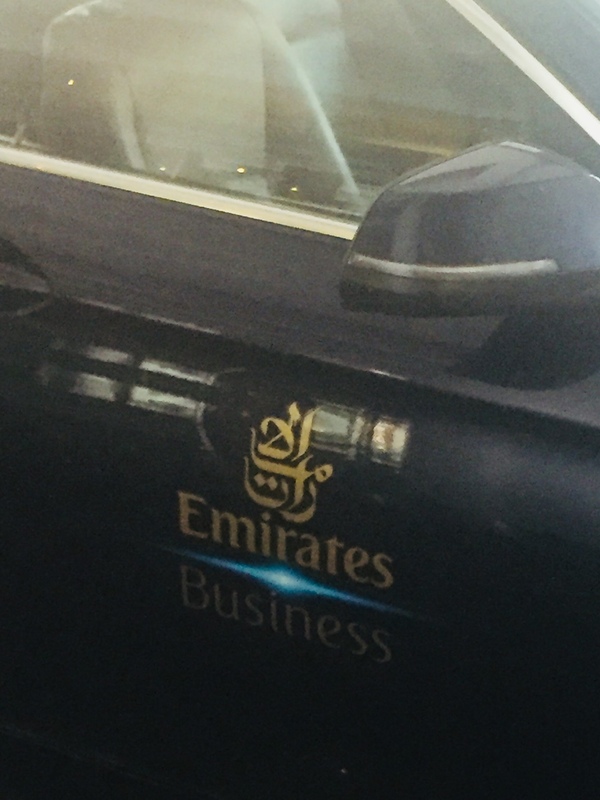 If you fly business class you are entitled to a free chauffeur meet and greet service which is amazing and removes stress and cost from your journey. 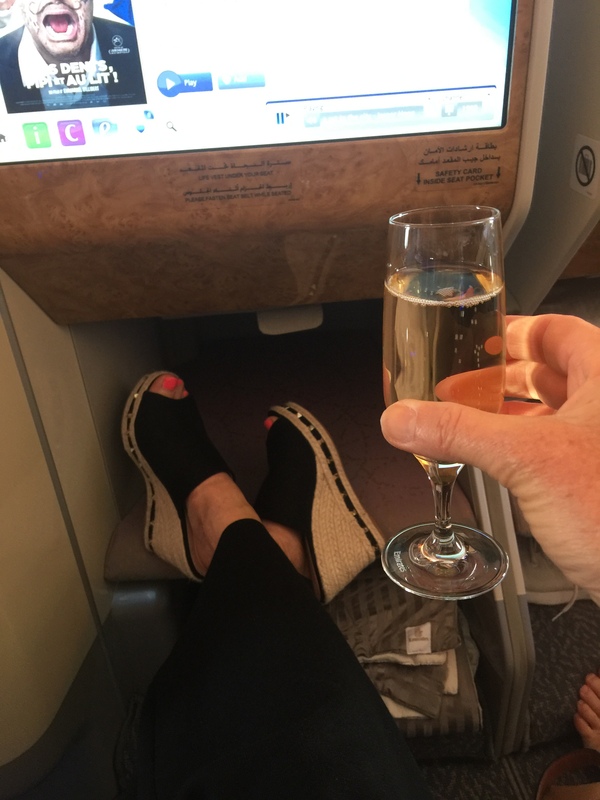 We took advantage of this with a return trip in Rome and Dubai. 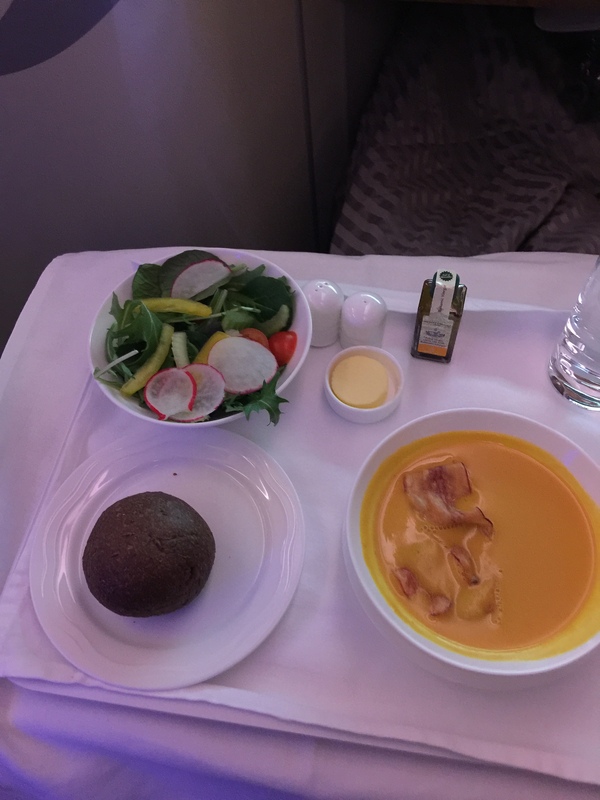 If you’ve never flown business class with anyone, I highly recommend it at least once on your bucket list and of course Emirates. 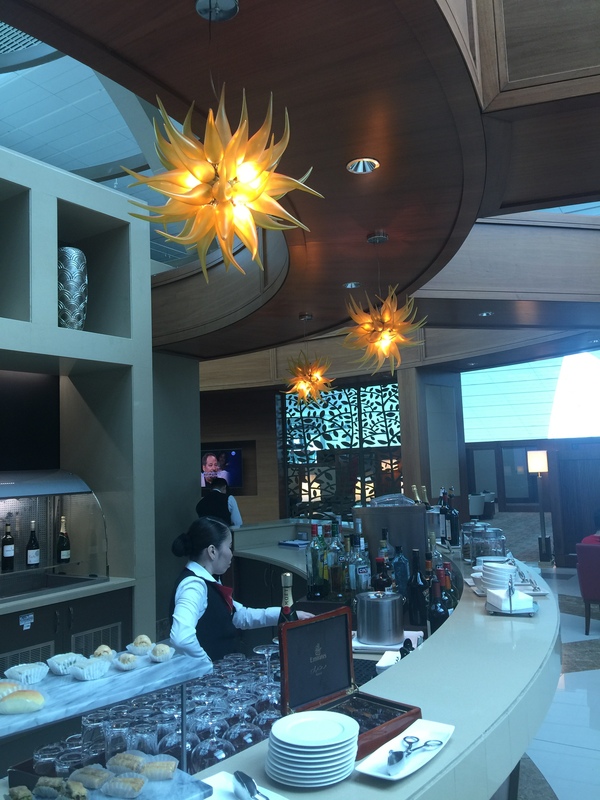 If you join their Skywards loyalty programme you may be able to earn points to upgrade at least. We so rated this airline. We’re keen to try Etihad and Qatar as heard they are both amazing too so watch this space but for now Emirates has scored a 10/10. We’ve converted. By the way we did have some issues with our airmiles however everything got sorted, with a little bit of perseverence on our return. Stay tuned for Rome, Sicily and Dubai blog posts in the upcoming weeks.